Beaches provide a great way to have fun with all the family but most of England’s beaches are packed in the Summer so we thought we’d give you a rundown on some of the ‘hidden’ beaches instead. Luccombe Beach on the Isle of Wight is the perfect way to extend your weekend into a short break on a breathtaking island. Another hidden gem, Luccombe Beach is one of the remotest beaches on the island. 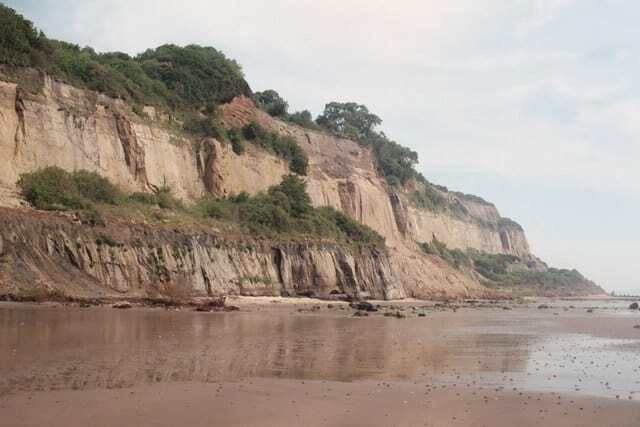 It is situated between Shanklin Old Village and Bonchurch and offers impressive rock formations, caves and other fun areas to be explored. There is a free car park and a short footpath down to the beach so no need to worry about transport. This little cove is unmarked on most maps and we think it’s so secret that there aren’t many who know of it at all except maybe the locals! There’s crystal blue water and sand making it perfect for a moonlit skinny dip or even daytime swimming if it comes to that. 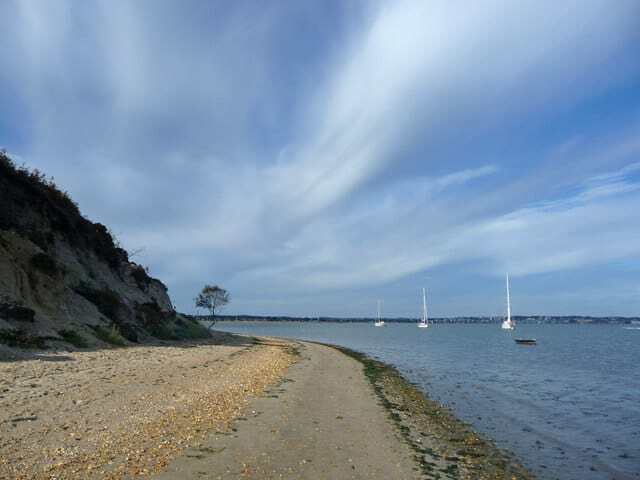 There’s also a perfect walk for all types of walker and you’ll find a lot of small beaches in the area. You’ll just have to climb over the rocks that separate them or walk around when the tide is out. We’d advise taking small amounts to drink and snack on in waterproof rucksacks and go in your swimming suit and rubber-soled shoes! The walk is 2kms and takes about 25 minutes to complete with easy beach access. Directions: Drive away from Polruan on the only road out of the village then go up the hill and past two left turns. A couple of kilometres after the second of these you will arrive at a sharp bend in the road. The car park at Frogmore Farm is on the left just after this. Then follow the path that begins across the road from the car park entrance. Continue over the lane and, after a couple of minutes, you will reach a field. Take the path that crosses the field diagonally towards the far right-hand corner. Halfway along this path, you’ll see a path that leads off to the left. Follow this past a bench and, after a few minutes take the beach-access pathway on your left. To return to the car park simply retrace your steps. This beach is thought to be the best on the Peninsula and is famous for the ‘Song of the Sea’ a tall, narrow natural arch that winks at the golden sand. This is a really secluded and often deserted beach because it is a bit of a distance from the road or car park but it is worth every step as you will see some remarkable natural stone sculptures, including the Diamond Horse – an equine-shaped formation through which sunlight shines with a jewel-like glint. There are caves and anemone studded rock pools emerge when the sea retreats and a freshwater waterfall which is ideal for washing off all that post-swim salt. 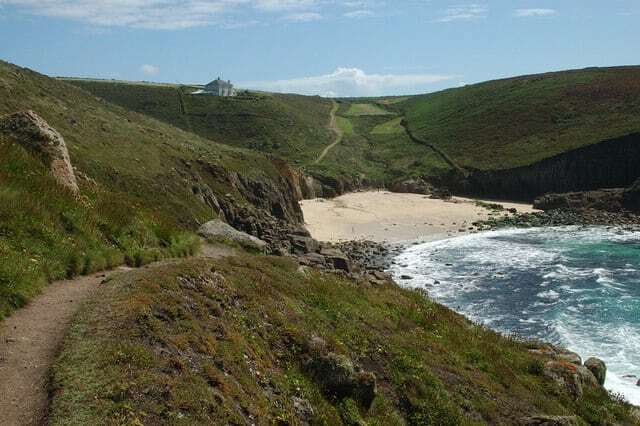 This walk is a straightforward stroll through fields and farmland and takes in a short section of the Coastal Path before emerging onto the beach. It will take you about an hour and you’ll cover around 3.5 kilometres over easy ground with a simple beach access. Directions: Head down the B3315 from Penzance towards Land’s End and stop in Trevescan. Park in one of the lay-byes on either side of the village which are only 200 metres away. From either lay-bye walk into Trevescan village. Just opposite the bus stop, you’ll see a footpath sign that points down a driveway. Follow this past two cottages (don’t worry – it’s a public right of way).Take the path that leads into the fields and through Trevilley Farm. After you’ve passed through some more fields, bushes start to close up around the path. Keep following it around to the right (don’t take the left turn) and walk along the valley ridge. At the point you first see the sea, take the path that leads downhill. Go over a footbridge and down a set of wooden steps to the beach. To return, simply retrace your steps. Arne Nature Reserve lies to the East of Poole Harbour. It is a good area of woodland and heath where deer, owls, ospreys and other bird life are to be seen while walking. The walk to Shipstal Beach is gorgeous and takes you past a sweep of sand that bleeds into the trees behind, through some classic English woodland, past ponds that teem with frogs and newts and to a hide from which you can watch the birds and wildlife. You will walk about 2.5 kilometres which will take about 45 minutes over easy ground with a simple beach access. Directions: Drive south out of Wareham on the B3075 and, just as you enter Stoborough, take the left turn onto Nutcrack Lane. Follow this road all the way to the Arne Reserve car park. Walk past the RSPB information hut and turn right just after the picnic area. Follow this path through the woodland. Just after the wooden walkway, turn right and follow the path around until you see Shipstal Beach. Get onto the beach by walking down the access path. Do not climb down any of the sandy slopes. They are very loose and prone to erosion. To continue with our suggested route, carry on along the path, and walk up and over the viewpoint. Turn left onto the track and then right onto the pathway that leads past the ponds. You could opt to take a shortcut back to your car at this point by carrying on along the track rather than turning off. Continue along the path, then take the right-hand fork, which carries on along the pathway through the woods. To visit the hide, turn right over the wooden walkway. Turn right when you meet the track. Follow this all the way to a farm and turn left when you reach the lane. The car park is just a few minutes further along from here. Lancombe Cove lies between Slapton and Blackpool Sands but there is a steep climb to the shore which often puts visitors off going there! However, if you are a beach lover this is for you as you’ll probably be totally alone there. 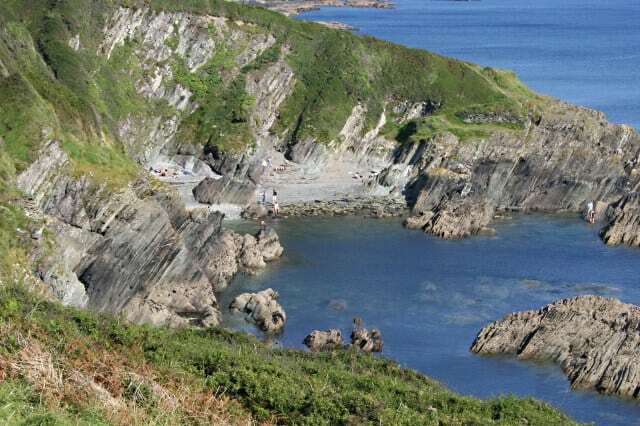 Naturists love it as the large smooth pebbles offer a lot of room to stretch out on, even at high tide, and incorporates a few caves and a secretive, annexe-like patch that can only be accessed when the sea is out. 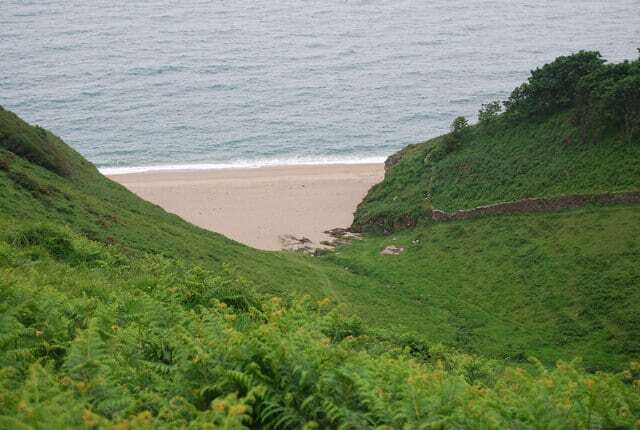 This walk begins in the village of Strete and is easy to start with but as you make your way down to the shore it will pull on your calves a bit! Getting back up afterwards takes some effort, too. You’ll walk about 3 kilometres which will take around 35 minutes over the moderate ground with a difficult and tiring access to the beach but it is so worth it! Directions: Head south on the A379 from Dartmouth and, just before you reach Strete, you will see parking bays on the left-hand side of the road. If these are full, you can leave your vehicle in the car park at the King’s Arms pub. Make sure you pop in to buy a drink on your way back though. The Coastal Path runs into a field beside the parking bays. Head in the opposite direction from Strete and follow it for 10 minutes or so. You will pass through an area of tall heather and scrub, and, after 15 minutes, enter a steep valley. At this point, you’ll see Landcombe Cove and the path leading down to it. Follow the path down the hill to your right and, when it starts getting really steep, bear to the left and turn right on to the track that runs alongside an old wall. To return to your car, simply retrace your steps back up the hill and along the Coastal Path. England has some excellent things to do and if this list has wet your appetite then why not explore some more things to do in England.